Should a Runner Ice to Treat Soreness? Soreness doesn’t always mean injury. This is one of those places where I think runners can get off course. I know a number of times I have talked about how I really think that most runners could avoid overtraining injuries if they would just look for the onset or beginning subtle signs of an over training injury. In most cases that means the first sign of soreness. But soreness doesn’t always mean injury. There are lots of reasons you can be sore after you run. 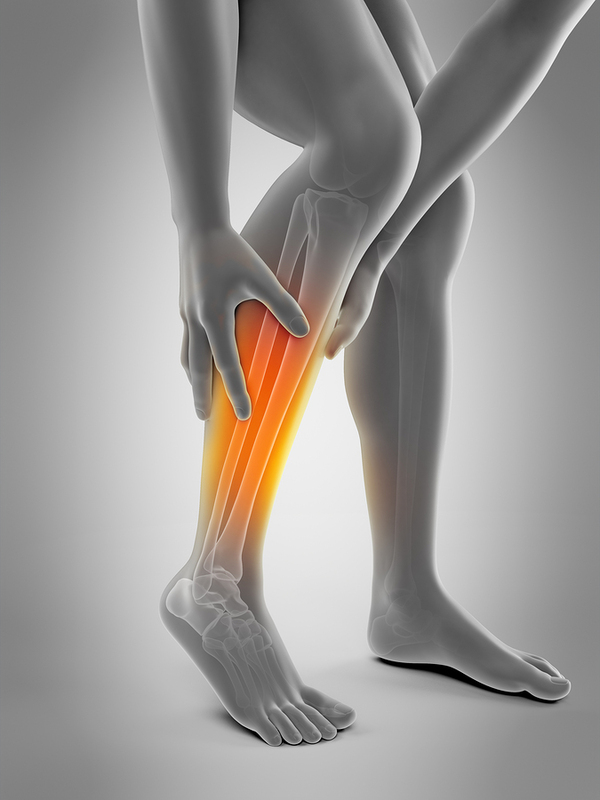 Yes, you could have an Achilles tendon strain. You could have a stress fracture. But you could just have generalized muscle soreness. Soreness in one location may mean trouble. If you run a marathon you’re probably going to be sore all over. That’s normal. But in general, if you have soreness that’s only in one spot, it implies tissue damage. So that might be the first indicator that you have an area that might benefit from the application of ice. A lot of runners get confused by that. So if you’re not completely sure whether or not your soreness is just in one location here couple of other tips to help you decide. Of the best things about the runners body is that you have two of everything. So if your right calf muscle is sore and you’re trying to figure out how much of a problem might be, just compare it to the left one. Asymmetry is a key indicator of trouble. If one side is super tender and the other side feels fine, you may be heading for an injury. But if both of your calf muscles are sore, even if one is a little more sore than the other, it’s not likely to be much of a problem. Try to identify any amount of increasing tenderness, stiffness or tension in one side versus the other. One of the terms often used by physicians is “pin point tenderness.” What that really means is that one particular anatomic structure hurts, especially in one particular place when we push on it. If you have pin point tenderness in the neck of your fourth metatarsal bone in your right foot then you probably have a stress fracture. If you have pin point tenderness in the tendon that attaches to the base of your fifth metatarsal bone then you probably have insertional peroneus brevis tendinitis. Pin point tenderness, in general, is a key indicator of more serious trouble. You don’t really get pin point tenderness just as a consequence of using new muscle groups, or strengthening muscle groups that you haven’t really been using for a long time, when you take up a new training program. If you take up a new form of training, you’re going to get soreness in lots of areas. Even if you just start doing curls in the gym with barbells, your biceps muscles are going to get sore. But it’s not just one spot in one biceps muscle. You will get soreness in the majority of the muscle belly. That’s not pinpoint tenderness. That’s more likely to be delayed onset muscle soreness. When you started any new workout routine and you start training any muscle groups you haven’t been using for some period of time you will get something known as delayed onset muscle soreness. You have to understand the difference between delayed onset muscle soreness and the sort of soreness in a muscle that might indicate you are starting to get an over training injury. One of my goals for the upcoming year is to transition from Ironman triathlon racing to ultra-marathons. Although I am kind of the easing into it, it can still take a toll on my body. On Saturday I did a fairly arduous run on the Dipsea Trail. Not surprisingly, the day after, and to a much greater extent the following day, I had a lot soreness in my calf muscles. That is not really surprising since that trail is very steep and has a lot of stairs on the trail. But just because I have a lot of stiffness and an achy soreness in my calf muscles it does not mean I am heading for some sort of calf muscle problem or an Achilles tendon injury. That is not at all what this kind of soreness indicates. It’s just delayed muscle soreness. I got it because I am not used to putting that much propulsive power through my calf muscles. In short, I’m just not yet strong enough to run up really steep hills or on trails with lots of stairs and steep inclines. Hopefully I’ll get there, but I’m not there yet. The price of admission to a new level of fitness is delayed onset muscle soreness. A lot of people mistake delayed onset muscle soreness for an actual muscle strain. Muscle strain is an actual injury. Muscle strains are one type of overtraining injury. But there’s almost no chance you are going to get muscle strains on both your right and left calf muscles. You are not going to get muscle strains that feel the same in both of your left and right quads. You’re not going to get muscle strains in both of your left and right hamstrings, either. So in short, if you have the same kind of soreness in both the right and left leg, no matter which muscle group it is, it’s more likely just a consequence of delayed onset muscle soreness. Icing doesn’t help delayed onset muscle soreness. But there are things you can do. Massage can help. I personally use a stick massage roller to work out those kinks. Foam rolling helps. I think going to see a massage therapist can also help, although I rarely have the time to see a qualified sports massage therapist who specializes in treating runners. Heat can also help. If you have delayed onset muscle soreness, sitting in a hot tub is going to be much better for you than sitting in an ice bath. Because delayed onset muscle soreness is not an inflammatory condition. The application of heat, or sitting in the hot tub is much more likely to help mobilize metabolic waste products, increase blood flow to the irritated muscles and may help reduce muscle soreness. You just have to remember that soreness isn’t always bad. You are simply going to have to have some soreness if you’re going to get stronger. That’s okay. After all, no pain no gain. The key isn’t to try to avoid discomfort, or even to try to avoid pain. The goal is to learn how to identify the types of pain that may be signaling an actual overtraining injury. And because most overtraining injuries are accompanied by an overactive inflammatory response you may want to apply ice to help calm those down. But it’s something you have to really consider. Remember, inflammation is necessary to help heal any injury in its early stages. Chronic over training injuries are often a consequence of a small injury which develops an inflammatory response. That small inflammatory response then builds and accelerates over time because there is a persistent injury in the form of repetitive bouts of training that continue to beat up that one anatomic part. That part is simply failing to fully recover before your next workout. The application of heat, like sitting in a hot tub can assist the inflammatory process. The application of heat will increase blood flow and help wash away metabolic waste products. In the case of delayed onset muscle soreness and generalized achiness or tendon stiffness that may be a really good thing. 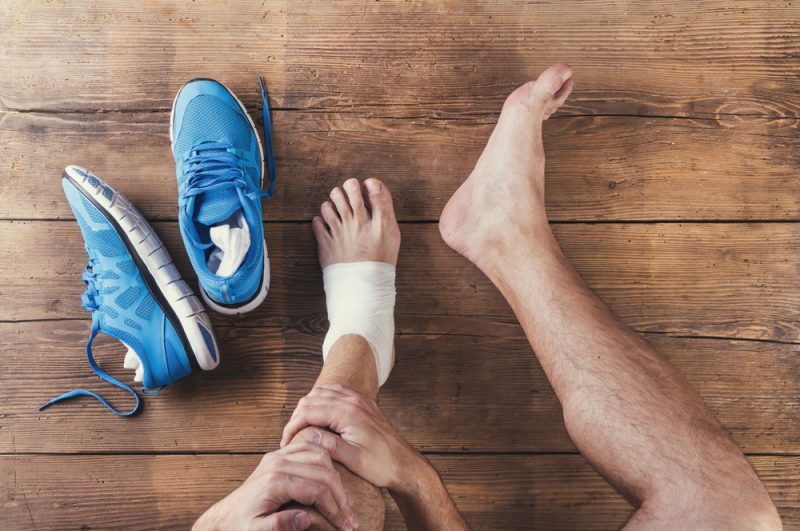 But in the case of a true overtraining injury like a stress fracture, a muscle strain or an overuse of a tendon like Achilles tendinitis, it may be more beneficial to apply ice. Of course, most endurance athletes are aware inflammation can turn into a chronic problem that prevents healing. For that reason post-workout ice baths have been popular for some time. But don’t ever forget that your goal with any work out is to actually incite just the right amount of tissue damage. After that workout when the tissues heal, you become stronger. So you don’t get stronger when you run, you get stronger when you rest. Just make sure you understand the difference between different forms of soreness and what they mean to you as a training athlete. Use heat to your advantage when it’s appropriate. Use ice when you need it. When in doubt talk to someone who’s an expert before any focal tenderness evolves into a true overtraining injury. You just have to remember that if it’s pinpoint tenderness, if it’s in one spot, if it’s asymmetric then you might want to ice that to calm it down. But if it’s generalized soreness and achiness then heat is probably going to be much better for you. Again if you’re ever confused, talk to you coach, talk to your doctor, talk to somebody who can answer those questions for you so you can do the right thing, stay on track and keep running, keep training and get back to running sooner.